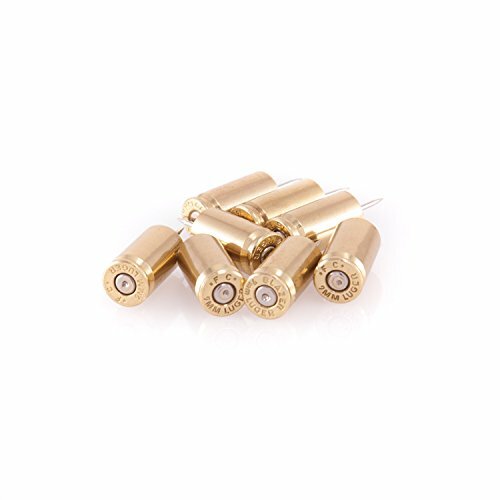 9mm Bullet Casing Push Pins - Moar Stuff - You don't need it but you know you want it. 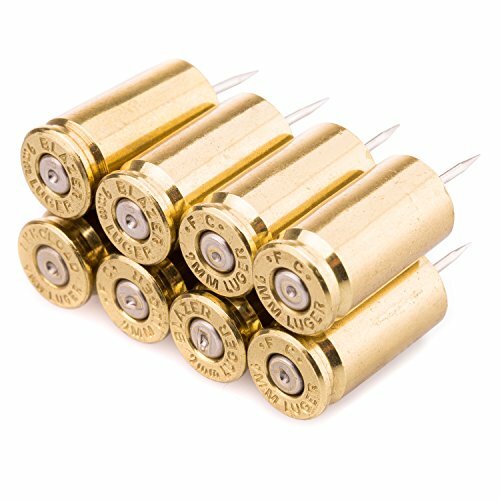 These 9mm Bullet Casing Push Pins (via Amazon) are perfect for keeping track of stuff around the home and office. Pick up milk? Check. Beer run? Even better. 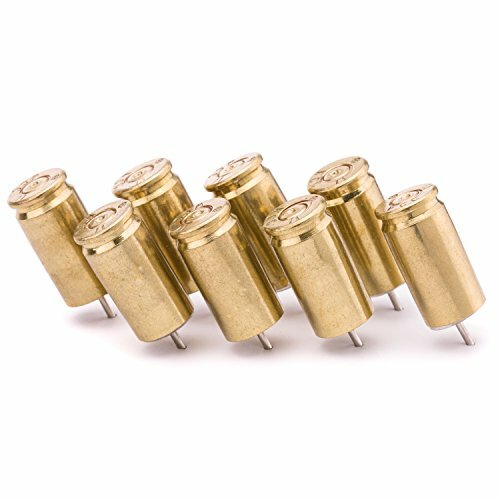 You’ll never get caught without a cold one in the fridge again when you tack up your reminders with these brass bullet push pins. 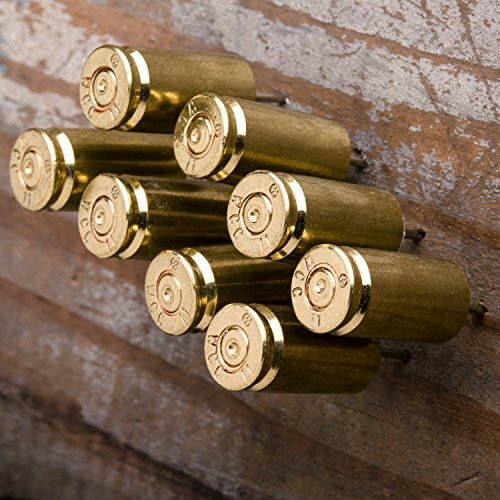 These real 9x19mm brass casings have been fired from semi-automatic pistols and sub-machine guns. Then they were recovered, polished up, and turned into some pretty manly push pins. 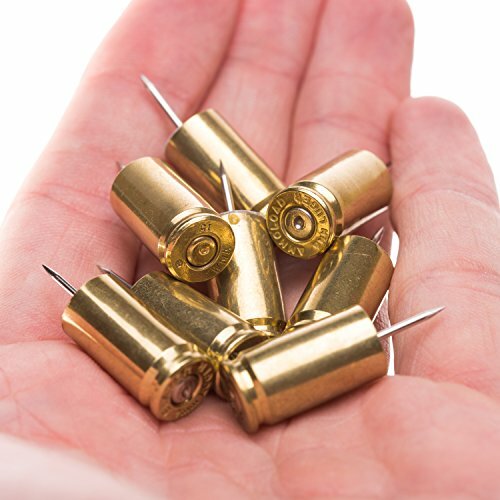 You get eight (8) bullet casing push pins so you’ll have plenty of ammunition when it comes to plinking away at reminders on your bulletin board. OK, a word of warning. Due to a complete lack of humor and common sense among folks who work in security roles, I wouldn’t recommend taking these somewhere where ammunition isn’t permitted. You would be technically correct in that these aren’t ammunition but, in these situations – much like in marriage, you often have to choose between being right and being happy. Oh, if you’re more of a medieval weapon type, give these Medieval Weapon Push Pins a look. You might like them better. Package Dimensions: 5.6 x 3.7 x 0.3 inches. Made from a once-fired, American made 9mm bullet. There are 8 bullet push pins included in each package. Bullet points are no longer just for PowerPoint presentations in the office.